Do you have questions about the chiropractic care we provide here at Friends & Family Spinal Care? Our friendly team can answer all your questions and help you get started! Please feel free to read through our most frequently asked questions below, or call us directly at (954) 369-1212. NUCCA (National Upper Cervical Chiropractic Association) is an acronym for the association it represents. NUCCA is a sophisticated system of analyzing and aligning the neck by hand to open nerve channels, improve nerve function, and restore health. Once pressure is removed, the spine naturally comes into a balanced unstressed position. NUCCA is a form of chiropractic care focused on correcting a small misalignment of the neck. The C1 vertebra or atlas is the ONLY BONE ADJUSTED. This subtle correction ultimately restores optimal balance to the entire spine. The NUCCA procedure essentially helps to “get your head on straight”! Chiropractic care will benefit almost everyone in some way, just as dental care will benefit almost everyone in some way. The degree of response may vary due to the length of time the condition has existed, the lifestyle of the patient and one’s compliance to the care plan. Your schedule of care is based on the magnitude and severity of your subluxation and your body’s response to the NUCCA Correction. Each person is different and each individual’s healing response is different. We give each practice member an estimate on how long their recovery may take after the initial exam and will have an even better idea after 2-3 visits. We do not have the same “3x a week for 12 weeks” approach for every patient. Visits will be spaced out based on the rate of improvement. Once we have improved or resolved their initial health challenges, most practice members decide to come in for monthly spine checkups to maintain their correction, to reduce future episodes and for better overall health. Q: How will I feel after an adjustment? As soon as the NUCCA Correction is made and body imbalance is restored, IMMEDIATELY, muscles begin to relax, blood and oxygen circulation is increased, healing messages are transmitted from the brain to the affected area and the body’s self healing process begins. No. There is no popping, twisting, or cracking with the NUCCA Correction. The NUCCA Correction involves a series of gentle touches on the side of the neck. Most patients think we barely touched them. This perception quickly changes after noticing the positive changes throughout the body. Each practice member receives a tailor-made adjustment according to his/her subluxation pattern. Yes, chiropractic is extremely safe. No significant risk of complications from receiving a NUCCA adjustment is known to exist… none. Q: Who should be checked for subluxation? EVERYONE. If you have a spine and a nervous system (which you do), you should be checked. Dr. Brown sees patients from 1 day old to over 90 years old. 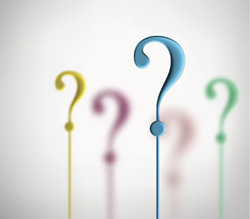 Do you have more questions about how NUCCA can help you? Contact us today!